The sanctioned companies reside in Monrovia, Liberia. 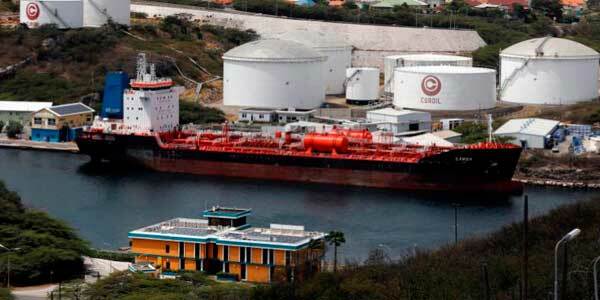 WASHINGTON, USA – The U.S. Government announced the imposition of sanctions against four companies and nine vessels from the Venezuelan oil sector, with the express aim of affecting the Government of Nicolas Maduro and increasing pressure on Cuba. The U.S. Department of Treasury reported in a statement that its Office of Foreign Assets Control (OFAC) designated as target of these penalties the following companies: Jennifer Navigation Limited, Lima Shipping Corporation and Large Range Limited. In addition, OFAC identified 9 vessels, some of which transported oil from Venezuela to Cuba, as a locked property belonging to the companies, the document added. In the statement, Donald Trump’s Government maintains its position of not recognizing the constitutional Government of Nicolas Maduro, was re-elected as Venezuelan President with 68% of the vote.